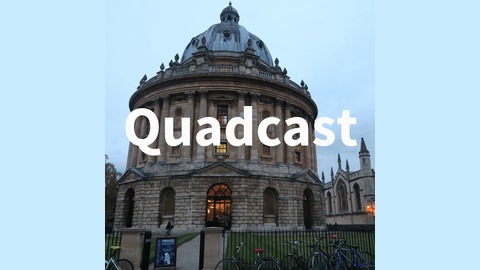 Quadcast is a new podcast featuring interviews and conversations with the most interesting people at Oxford as well as discussions about the issues affecting Oxford and the wider world. 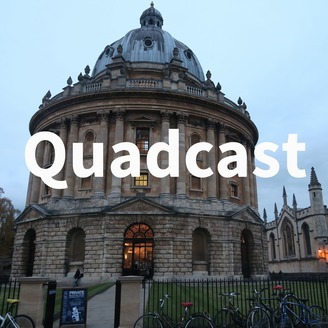 Quadcast is a new podcast featuring interviews and conversations with the most interesting people at Oxford. In this Election Special we talk to students as they react to the news of Donald Trump's Presidency as well as from Ian Goldin, Professor of Globalisation and Development at Oxford on how he saw Trump's election triumph coming by studying the European Renaissance. This week Quadcast recommends Blinkist, an app that gives you access to more than 1,500 summaries of the most popular non-fiction books around. For a free trial please visit quadcast.co/blinkist You can buy Ian Goldin's book 'Age of Discovery' by visiting quadcast.co/discovery and you can find out more about him at IanGoldin.org or by following him on Twitter @ian_goldin. The intro music for this episode is from the good people over at Purple-Planet.com.